I have not completely abandoned making cardigans and jumpers for knitted toys but I do only make them for New Born's now as I have found that older children do not like to stand out by wearing hand made jumpers. 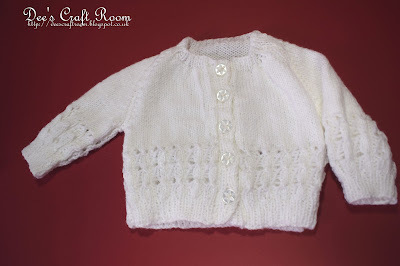 One of my best friends recently became a grandmother for the fifth time and I made this white cardigan for the most recent addition to her family, a little boy. 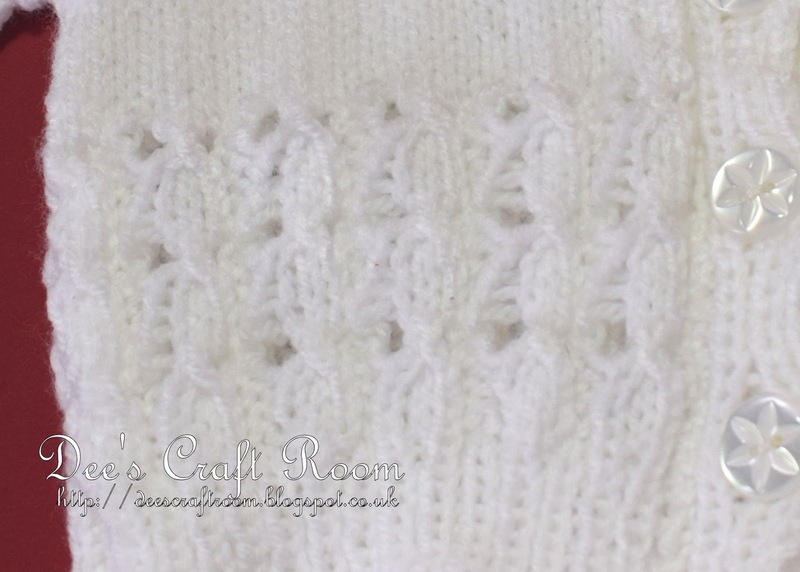 I think you can just about make out the mock cable pattern in this close up. Thank you Carol. I agree, I think little babies look so sweet in an hand made cardigan ... especially white.